Please consider donating to Community Connections. Your gift is tax-deductible and will help fund Community Connections' programs and further our mission of mentoring, substance abuse prevention, youth leadership development, education and more. 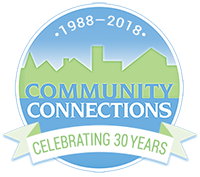 Click the "Donate" button to give online, or call our office at 308.696.3355 to learn more about giving to Community Connections.